It's official. I'm addicted to Zentangle®! I was not feeling well today, and completing this page gave me something quiet, relaxing, and fun to do. I highly recommend it! 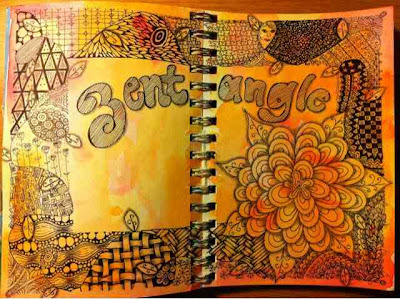 You can find out more about Zentangle® at www.zentangle.com.